Take an area similar to the fine wine region in the Niagara Peninsula Appellation but look for it in northern Michigan at the 45th parallel and you have the glacier-deposit-rich Leelanau and Old Mission Peninsulas. Protected similarly to the Niagara Peninsula by a Great Lake, these two Michigan stretches of land border Lake Michigan and the Grand Traverse Bay. 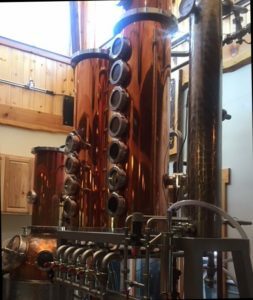 Northern Latitudes , a distillery started a few years ago on M204 between Suttons Bay and Leland had become a popular stop on the Leelanau Wine Trail. Go there for excellent wine and gorgeous fall color. The Traverse City area is definitely a wine tour destination. But while there, also sample the spirits at the area’s growing number of micro-distilleries. To take the hassle out of finding the area’s wineries and worrying about how much you sip and drive, consider signing up for a wine tour car, shuttle or a van. Or plan to stay a few days to pair wineries with the region’s awesome scenery. Traverse City, popularly known as TC has a great variety of accommodations but also consider staying at a resort, inn or winery on the Leelanau or Mission Peninsula. The two peninsulas greatly differ in size and number of wineries. In fact Leelanau County which basically covers the peninsula from Lake Michigan on the west and north to the west wing of Grand Traverse Bay on the east is about 2,532 square miles. Old Mission Peninsula is more like a small finger sticking up into the Grand Traverse Bay dividing the Bay into East and West Wing. Instead in miles, it is usually thought of in terms of acres and is 19,200 acres. 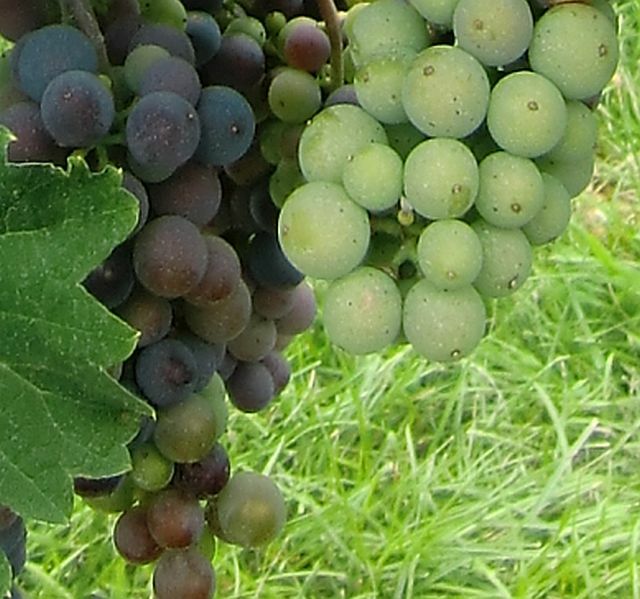 Thus, the Leelanau Peninsula Wine Trail is divided into three parts. Sleeping Bear (near the National Park) on the west has about seven wineries to visit. 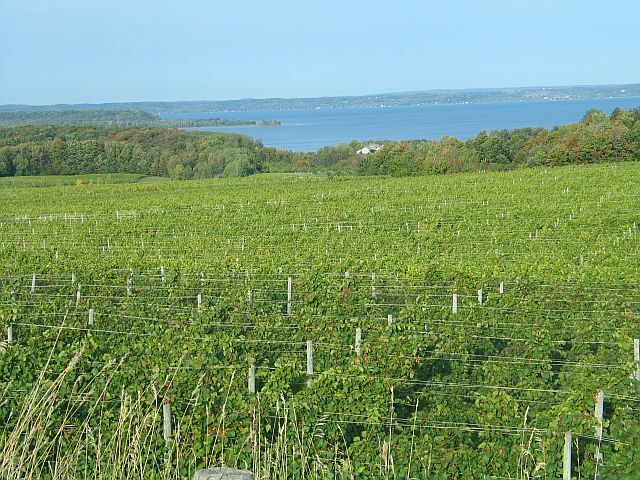 Grand Traverse Bay Loop has about eight wineries and the Northern Loop has about 10. Old Mission Peninsula has nine wineries including Black Star Farms which is also on the Leelanau Peninsula. Easiest is to start with the smaller peninsula. You will not only be stopping at wineries. Over every hill is another photo op of blue water, vineyards, farmland and forests. If coming in late September, early October, magnificent reds and golden hues color the landscape. 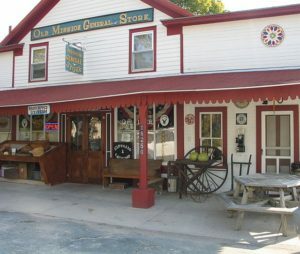 Visit the General Store on Old Mission Peninsula for a trip back in time. Work your way up or down. If starting at the top you may want to put the 1870 Mission Point Lighthouse on the list. The lighthouse is just on the edge of 45th parallel so you are standing about halfway between the North Pole and the equator. Add the Old Mission General Store to the list. 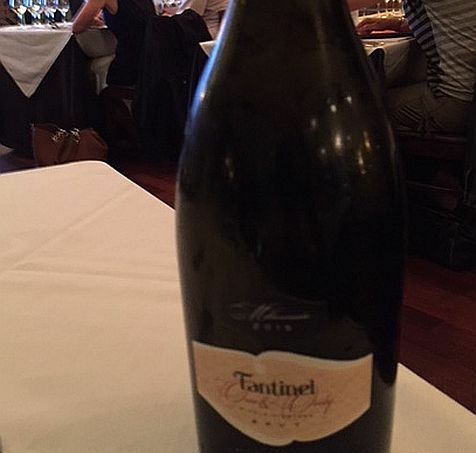 It’s been in business up there near the top of the peninsula for more than 160 years. Now the wineries. Of course wine drinkers have different likes and favorite grape varietals but you are very likely to find a couple of bottles you love at any of Old Mission’s cellars. You will also find the wineries on this peninsula to have upscale or atmospheric atmosphere. Mission’s wineries started appearing later than those on Leelanau and tend to cater to the wine tour trade. They are 2 Lads Winery at the top followed by Chateau Chantal. In the middle are Bowers Harbor Vineyards Brys Estate Vineyard & Winery, Chateau Grand Traverse and Peninsula Cellars. Where the peninsula touches the main area of TC are Hawthorne Vineyards , Mari Vineyards with Black Star Farms at the bottom or it’s the first place if starting from the south. Many of the wineries have spectacular views. If interested in staying on the peninsula ask about accommodations at Chateau Chantal. You won’t be disappointed. If lavender is a favorite scent, go over to the Secret Garden at the Brys Estate Vineyard. If interesting atmosphere makes a cellar tour way more memorable, join a tour or ask about a reservation for Mari’s cave with its enhanced solstice light feature. Mari’s MV sign makes it hard to miss. The wineries have been here, for the most part, longer than on Old Mission. You are sure to find some you want to take or have sent home. Just don’t expect fancy buildings. The first wine trail started here with four wineries back in the early 1980s. Best plan is to follow one of the three suggested trails. On the Grand Traverse Bay Loop are Black Star Farms Black Star Farms which really was a farm, has a terrific B&B, an unpretentious, very drinkable House Red, a nice “ice” dessert wine and several other wines. You might want to start or end here because the folks in the wine-tasting building down the drive from the Inn can suggest places to stop for views of the bay and places to eat. 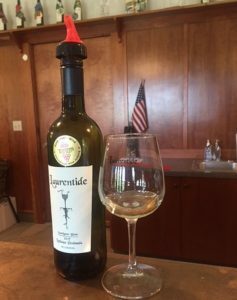 Other wineries on the Grand Traverse Loop are Two K Farms, Mawby , Willow Vineyard, Ciccone Vineyard & Winery, Chateau de Leelanau Vineyard & Winery and Shady Lane Cellars which like Black Star are considered to be in the Suttons Bay area. Suttons Bay is north of Black Star and has good places for lunch and dinner. Suttons Bay’s downtown is also a good place to start the Northern Peninsula Loop. Actually the southern part of the Northern Loop could be combined with Sleeping Bear which runs along the National Dunes and Lakeshore and the north part of that loop can be done separately. Start at M204 at the north end of the Suttons Bay shopping district. The road cuts across the peninsula to Leland and is dotted with winery signs and small roads leading to several cellars. Look for 45 North Vineyard & Winery and Aurora Cellars shortly after starting M204. Blustone Vineyards is further along. Then, watch for Boathouse Vineyards and Amoritas Vineyards followed by Laurentide Winery (really good sauvignon blanc) and Good Harbor Vineyards. Chateau Fontaine and Bel Lago Vineyard & Winery are south of M204. Before heading back to Suttons Bay though, stop at Verterra Winery in Leland. The town of Leland and its famed Fishtown boardwalk are fun places to shop and eat. 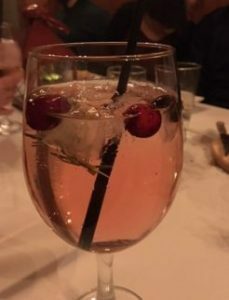 If doing the north end of the Northern Loop from Suttons Bay stop at French Valley Vineyards, Nathaniel Rose Wines at Raftshol Vineyards and Tandem Ciders. Then drive north to Silver Leaf Vineyard & Winery. Be sure to stop at Leelanau Wine Cellars in Omena, a historic Native American area. Continue up to North Port, a town of interesting galleries and boutiques including a fun used/new bookstore, good bakery and bars. Green Bird Cellars and Farms is also in the North Port area. At the south end of the Leelanau Peninsula is Rove Estate, a nice stop if traveling between Sleeping BearNational Dunes and Lakeshore and TC. For more information on the area see visit traverse city or call (800) 940-1120.